Even twenty years after the first book apparated its way into our hearts, Harry Potter is still one of the biggest cultural phenomenons in the world. Every day new children and adults are discovering the world of Harry Potter and the secrets that lie within. So expansive is the world and the story behind its creation that it has become part of popular culture. If you want to go back to where it all began for J. K. Rowling, those twenty-something years ago, Edinburgh is the place to be. These are 5 magical places in Edinburgh that are absolute musts for any muggles who are fans of Harry Potter! As an unemployed single mother in the city, J. K. Rowling wrote much of Harry Potter and the Philosopher’s Stone in this very cafe. The story goes that she would take her daughter out in the pram, and when her daughter fell asleep, she would take her into the cafe and sit and write. There’s a wonderful view of Edinburgh Castle from out the window, which we’re sure inspired Hogwarts in some way! Go grab yourself a coffee, and see if you feel inspired, and don’t forget to check out the Harry Potter graffiti in the bathrooms! This seems like an ordinary if rather idyllic graveyard, but it actually has a much more magical secret hidden beneath. This is the place J. K. Rowling came up with some of the names for the Potterverse. A wander around this pretty place will give you plenty of spooky inspiration for stories of your own, and look out for familiar names on the gravestones. A Thomas Riddle is buried here (Lord Voldemort’s real name), and there’s also a William McGonagall – we wonder if he’s any relation to Minerva! This is more for those who just love writers and writing in general – though they do have a J. K. Rowling section! 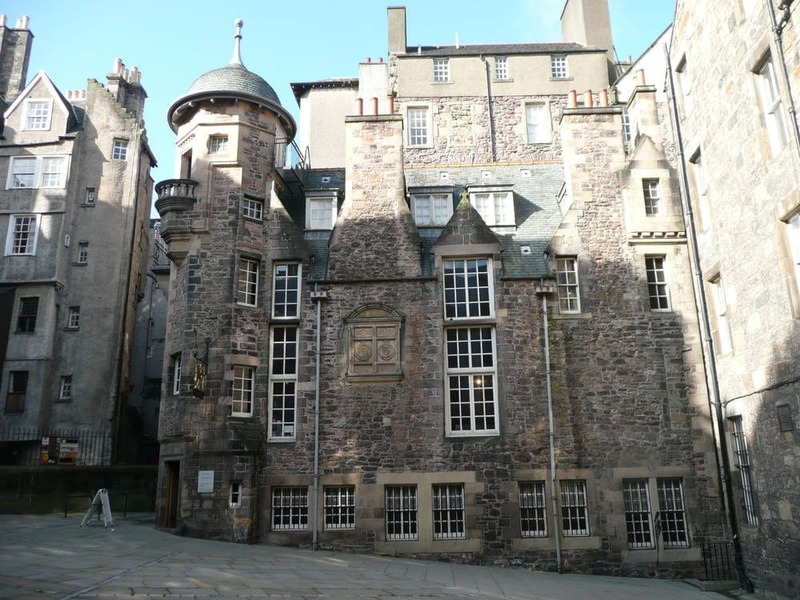 This delightful old building, that could have come right out of the world of Harry Potter, was converted into a museum to celebrate Edinburgh becoming the first UNESCO City of Literature in 2004. The museum focuses on Edinburgh-based writers such as Robert Burns, but Rowling and Harry Potter exhibits are shown as well. Another one of Joanne Rowling’s favorite writing spots in the city is Spoon Cafe – largely because it was owned by her brother-in-law, and used to be called Nicholson’s Cafe. Much of the basis for the first novel was written here, and it’s open to the public as you might expect. Grab a coffee, pull up a chair, and imagine where Jo might have sat as the words poured out of her. Just think, in this little cafe in the middle of Edinburgh, an unemployed single mother was about to change the world, and she had no idea! Harry Potter has such a global appeal, and fans are always eager to learn more about it where they can. 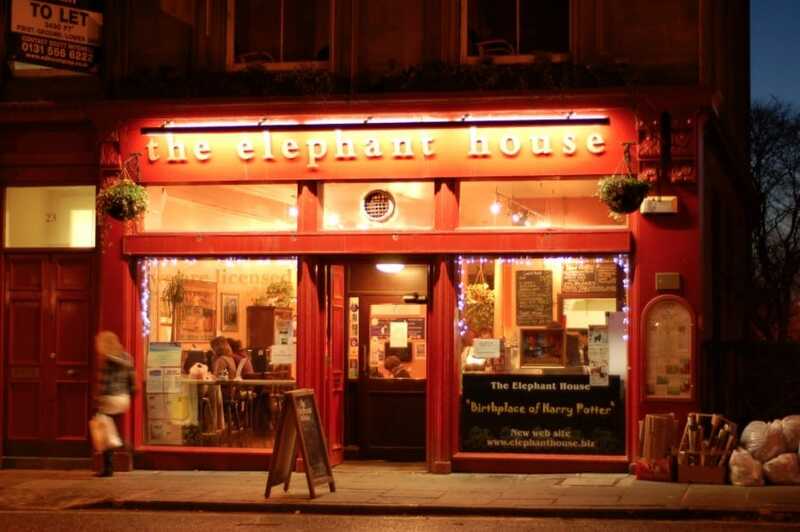 Any secrets and trivia always go down well, and Edinburgh has such an iconic connection to Rowling and the books. If you ever get the chance to visit, make sure you check out these awesome Harry Potter hotspots.